Performance Pay: Here to Stay? Not unlike the recent public healthcare debates, the mention of performance-based pay generates much passion. The continued rollout of the Defense Department’s version of performance pay was put on hold at the beginning of the Obama Administration, pending a study. That study is now out. It is short and clear: continue the pause, rethink some of the initial premises put in place in 2004, engage employees in re-designing the system, and be sure to invest in training managers. While the report concludes” “Successful performance management systems have the potential to enhance organizations performance and drive effective results,” it pointed to several implementation actions taken in recent years that led to frustration by both managers and employees. Media played up the unions’ disappointment that the system was not rejected outright. But separately there were strong signals from John Berry, director of the Office of Personnel Management, that President Obama is committed to linking pay to performance as a condition of any broader governmentwide pay reform efforts. Interestingly, these elements were reflected several years ago in an assessment of the performance pay system implemented at the Government Accountability Office. This isn’t a new topic. This blog has highlighted several other related IBM Center reports on this topic, if you want to dig into some of the background. He goes on to say: “Of more than 500 senior policymaking positions requiring Senate confirmation, just 43 percent have been filled. . . . ” He notes that Obama is trying to fix the financial markets but has no assistant secretary for financial markets. He is fighting two wars but has no secretary of the Army, and is holding a summit on nuclear nonproliferation but has no assistant secretary of state for nonproliferation. Baker also describes how there is more progress in putting officials in place than in other recent administrations and how the finger-pointing for the slow pace is “being freely passed around” between the executive and legislative branches. The White House personnel office offers a higher count of appointees; other sources (such as the Washington Post’s Head Count website) offer lower counts, depending on what positions are included or excluded from the counting. In a separate story, Chris Dorobek describes how the confirmation of Martha Johnson as administrator of the General Services Administration is being held up in the Senate. He offers several reasons that are bipartisan in nature: Senator Harry Reid (D-NV) is mad at GSA for discouraging government conferences in resort locations, like his home state city of Las Vegas, and Senator Kit Bond (R-MO) is blocking action because he wants a federal office building built in Kansas City. . . . meanwhile GSA has no top leader while the agency is facing an historic challenge to effectively manage a 1,100 percent increase in its spending for the coming year under the Recovery Act. The public already has access to some details about government contract awards via www.USASpending.gov, which is a database of federal grants and contracts. Even more is on the way via www.Recovery.gov, which tracks dollars associated with the implementation of the Recovery Act. But rarely are the actual contracts available. Then-candidates Barack Obama and John McCain had co-sponsored legislation last year, The Strengthening Transparency and Accountability in Federal Spending Act of 2008 (S.3077) that would have required agencies to publish more details about their contracts. It did not go anywhere, and Brodsky reports that it will likely not be actively considered this year, either. However, President Obama could administratively require agencies to do so. Contractors are concerned about potentially exposing proprietary information and agencies are concerned about the overwhelming administrative burdens of redacting such information. For example, the Defense Logistics Agency alone signs 8,000 contracts a day. Brodsky notes that it took the General Services Administration two weeks to release a redacted copy of the Recovery.gov contract when requested. Transparency and government watchdog groups are strongly supporting the potential move. . . .. It’ll be interesting to see how far transparency can go, and how this will change both business and oversight! I had lunch yesterday with Martha Kumar, who helps run the White House Transition Project, and she encouraged a visit to their website to see their “Six Month Review” of the Obama Administration’s transition. You should visit also! They’ve got a running tally of the status of presidential appointments as of the six-month point (55 percent identified or confirmed, of the top 542 positions). They note the delay in confirmations tends to be on the White House side – not the Senate side — of the appointment process. They have also drafted some essays on specific topics: a review of Rahm Emanuel’s effectiveness on the job so far (a positive assessment), a review of Jim Jones’s role as national security advisor (still evolving), and a piece on presidential travel (Obama has earned lots of miles!). Additional essays in production include a piece on the organization of the White House, and the interaction between the President and the press. The healthcare reform debates raging across the country in townhalls and on-line, all show that Americans do want to actively engage in their government. Obama’s Open Government Directive, which is still under development, intends to expand public involvement. But various agencies are already jumping in. The Environmental Protection Agency has long been a leader in engaging citizens. They’ve developed extensive resources and networks that can be of help to others. They are currently helping revamp the main website for public participation in e-rulemaking, regulations.gov. Here, they are encouraging citizen involvement in redesigning the website. The Office of Personnel Management has posted a draft version of its 2010 strategic plan on line and is asking for both employee and public comment. The Department of Homeland Security has invited the public to participate in a statutorily required Quadrennial Review of its policies and priorities. Federal Computer Week’s Ben Bain notes that the review covers six areas, such as border security and disaster response. The first on-line dialogue sponsored by this effort ended several days ago, with 10,000 participants. The next dialogue will launch at the end of the month, followed by a third several weeks later. Details and the final report will be posted here where available. Agencies got their budget marching instructions from the Office of Management and Budget back on June 11th, but the science agencies (NASA, National Institutes of Health, National Science Foundation, Office of Naval Research, etc.) have recently received additional guidance. These can be done by improving the productivity of research institutions (e.g., universities and labs); strengthening science, tech, and engineering education; improving infrastructure; and improving space capabilities. Agencies will need to describe expected outcomes from their investments in relationship to the above priorities, and develop data sets to document their investments and make these datasets available to the public. This implies a strong emphasis on applied vs. basic research. It’ll be interesting to see how basic research agencies fair under this set of new expectations. The Recovery Act created a huge oversight mechanism and provided more than $350 million for audits and investigations to ensure the $787 billion in the Act would not be wasted. For example, the Recovery Accountability and Transparency Board released a checklist for how to look for waste, fraud and abuse in Recovery Act grants (e.g., “Was the award announced on FBO? Yes/No”). Government Executive’s Elizabeth Newell reports that the Board has created an outreach program to agencies to help them. But what is really interesting is the number of other groups that are engaged in tracking and money and conducting oversight as well. The most well-known is a private company, Oniva (no, not the calcium supplement), which created its own version of Recovery.gov, the federal government’s website to track the funds being spent. Their website is: www.recovery.org. This site is compiled by dozens of analysts who comb local news media for notices about public spending linked to Recovery Act funds (collecting their info from the bottom up). It reports 24,463 active projects, spending $77.48 Billion. 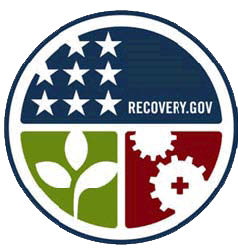 In contrast, the federal site (www.recovery.gov) depends on reports from federal agencies, grantees, and contractors (collecting from the top down). It reports $73.14 Billion as “paid out” as of July 31st. Another, OMB Watch, is sponsoring a “Coalition for an Accountable Recovery” (CAR) that advocates for greater transparency in Recovery Act spending. In addition, the advocacy group, “States for a Transparent and Accountable Recovery” (STAR) looks at similar issues from a state-local perspective. Last week, another advocacy group, “GoodJobsFirst” released a report assessing how transparent the states were being on their Recovery Act websites. Senator Tom Coburn has been conducting his own investigations of how Recovery Act monies are being used, but they’ve been seen as partisan (or at least incomplete). His report seems to have gotten more publicity, at least . . ..
And advocacy groups aren’t only looking at the Recovery Act! There’s a group, Bailout Watch, that is tracking the use of the $700 Billion in bailout monies under programs like TARP. It has a page called “SubsidyScope.com” that tracks what financial institutions are receiving under the various federal bailout programs.
. . . here’s a late addition. Pro Publica has created a “Stimulus Progress Bar” that’s worth looking at! The Obama Administration will soon release the Open Government Directive (OGD), the president’s plan for making the federal government more responsive, participatory, and effective. The directive will be the first significant federal attempt in decades to answer a very interesting question: How should we improve American democracy? The OGD should be an important step forward, but this is not a challenge the administration can meet by itself (a fact that federal officials, following the style of their boss, are happy to acknowledge: they need and expect our help.) Luckily, there are a number of documents, from academic studies on governance to how-to civic engagement guides, which provide essential, practical advice on this question: they are must-reads for any democracy reformer. Learning from the Locals. One reason we have so much information is that this question of how to improve democracy is already a hot topic at the local level. For the last fifteen years, local leaders have been dealing with a dramatic shift in citizen attitudes and capacities. This transformation has caused new tensions between residents and elected officials, produced new public actors and problem-solvers, and inspired a new generation of civic experiments. The limitations of the traditional, ‘child-parent’ relationship between citizens and government are becoming more obvious, and we are struggling to establish more productive ‘adult-adult’ forms of governance. (For a brief, humorous video describing this transition, click here). We are learning a great deal from this work. 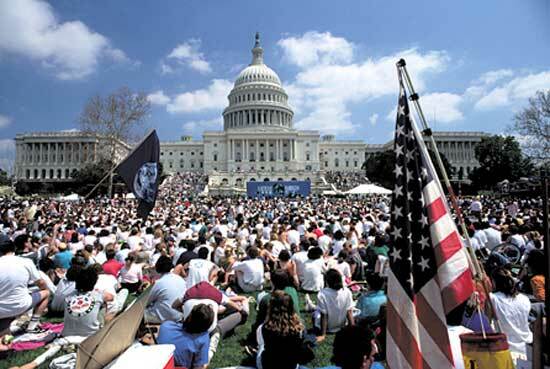 Academics, civic activists, public engagement practitioners, community organizers, public officials, and others have learned and written about the various attempts – successful and unsuccessful – to help citizens and government work together more effectively. (This is just a small sample; more of the conclusions from this conference will soon be available here). In most cases, the ideas from the conference are merely the headlines for much more detailed recommendations, many of them informed by on-the-ground civic experiments at the community level. The National League of Cities, the International City/County Management Association, and Philanthopy for Active Civic Engagement] have described this work in reports like Changing the Way We Govern and The New Laboratories of Democracy. What Have Federal Agencies Learned? Federal agencies have already learned a great deal from these local efforts, and leading agencies like the EPA and CDC have incorporated some of these strategies into their work. Investing in Democracy provides a comprehensive overview and proposals. This report and this one supply the recommendations of, and for, pioneering federal managers. “Deliberative Democracy and the Problem of Scope” lays out the larger challenges and opportunities inherent in ‘scaling up’ local democratic successes to the state and federal levels. Some of the best examples of engaging citizens more productively are efforts that: recruit large, diverse numbers of people; involve them in small-group discussions on an important issue; allow them to compare experiences and consider a range of views or policy options; support them as they plan for action. Resources like “Democracy, Growing Up,” Where Is Democracy Headed?, Funding and Fostering Local Democracy, and Democracy as Problem Solving? describe how these shared strategies evolved, spurred by changing citizen attitudes and capacities. The core principles underpinning these projects are described here. Next Step: Embedding Practices Into the Way Government Works. Though many of these examples show how democracy can work more effectively and equitably on a temporary basis – on a single issue for a short period of time – there are fewer instances where the new strategies have been ‘embedded’ into the way that governments and communities function. Empowered Participation describes several communities where this has happened, and identifies some key ingredients for success. Understanding neighborhood governance is an essential part of this question – see The Promise and Challenge of Neighborhood Democracy. And this draft article details the legal side of the challenge. We shouldn’t neglect the democracy lessons being learned in other parts of the world, particularly in the Global South. “Reversing the Flow” makes this argument eloquently, and a number of studies – including this one and this one – summarize some of the work being done to revitalize governance and strengthen democratic accountability in other parts of the world. The British organization Involve has also produced many excellent reports on the attempts to reform democracy in the U.K. This work has introduced new twists on timeless questions about power, justice, and equity. Do these forms of engagement provide powerful new opportunities for people who have traditionally been excluded and disadvantages, or can they actually exacerbate long-standing divides and inequities? “Deliberative Democracy and the Problem of Power” recaps this conversation so far, and lays out new directions for aligning democracy, equity, and justice. Of course, engaging citizens in more active ways is only one avenue for improving democracy, as this article points out. The more traditional citizen roles, like voting, deserve reconsideration in the light of 21st conditions. The “Strengthening Our Nation’s Democracy” platform pieces together the elements of a broader democracy agenda. This is only the tip of the iceberg. There are many other areas – including youth engagement and the role of higher ed – that have a direct bearing on democracy reform. It is a lot to read! But then, “How should we improve democracy?” is a question that deserves the most well-informed answers we can give. The Bush Administration had been a big promoter of the use of contractors, basically doubling spending on contracting to about $500 billion a year. Congress pushed back on some initiatives to outsource some government functions – even when the Republicans controlled the Congress. It increased restrictions, embedded study requirements regarding the appropriate balance of government vs. private employees, required the Administration (in the Defense Department authorization bill) to develope a definition of what constitutes “inherently governmental” positions, and directed the Intelligence Community to conduct an assessment of its staffing mix between public and private resources, and the Intel Community is beginning to tilt its staffing mix toward more government hires. Most recently, the Senate has proposed banning all outsourcing studies. Improving Government Acquisition. This memo set out guidance to agencies to review their existing contracts and buying practices in order to save $40 billion a year through better practices. It requires them to: (1) develop plans to save 7 percent of contract spending over the next two years (3.5 percent in fiscal year 2010; 3.5 percent in fiscal year 2011); and (2) reduce by 10 percent next year the amount of dollars awarded under “high risk contracting authorities” such as non-competitive contracts, cost-reimbursement contracts, and time-and-material contracts. Managing the Multi-Sector Workforce. This memo sets out initial guidance to help agencies improve their management of their combined public sector and contractor workforces. It requires agencies to (1) adopt a human capital planning framework that covers their multi-sector workforce, (2) pilot an analysis of at least one program where the agency has a concern about an over-reliance on contractors, and (3) develop guidelines for when to in-source work to government employees (along with an attachment based on earlier guidance developed by the Defense Department). Improving the Use of Contractor Performance Information. This memo, directed to agency procurement officers, requires them to submit an electronic record of contracting performance to a central governmentwide database. It also directs them to develop internal procedures and designate individuals to be in charge of ensuring contracts are assessed. A third memo will be issued by OMB in the Fall covering competition, contract types, acquisition workforce, and when outsourcing is or is not appropriate.